The Detective Pikachu story begins when ace detective Harry Goodman goes mysteriously missing, prompting his 21-year old son Tim to try and find out what happened to him. 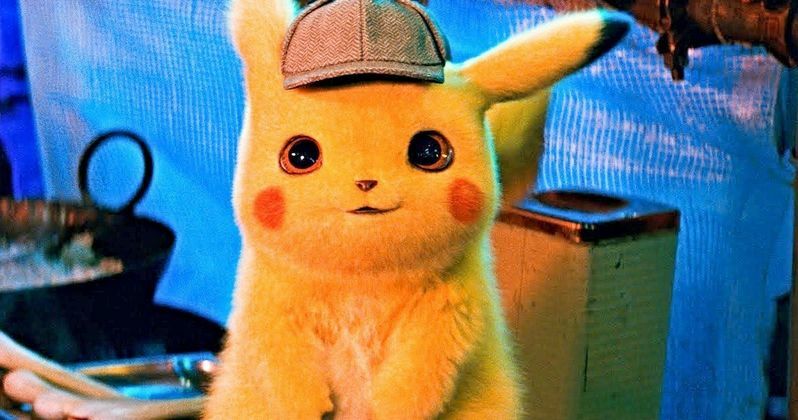 Helping out in the investigation is Harry's former Pokémon partner, Detective Pikachu, who is a hilariously wise-cracking, adorable super-sleuth and is a puzzlement even to himself. Finding that they are uniquely equipped to communicate with one another, Tim and Pikachu join forces on a thrilling adventure to unravel the tangled mystery. Chasing clues together through the neon-lit streets of Ryme City, a sprawling, modern metropolis where humans and Pokémon live side by side in a hyper-realistic live-action world, they encounter a diverse cast of Pokémon characters and uncover a shocking plot that could destroy this peaceful co-existence and threaten the whole Pokémon universe. Detective Pikachu is directed by Rob Letterman (Goosebumps) and also includes the creative filmmaking team of two-time Academy Award nominated director of photography John Mathieson (The Phantom of the Opera), production designer Nigel Phelps (Pirates of the Caribbean: Dead Men Tell No Lies) and Oscar-winning editor Mark Sanger (Gravity). The visual effects, which are stunning, are created by Moving Picture Company (Wonder Woman) and Framestore (Guardians of the Galaxy Vol. 2). It's pretty amazing to see the world of Pokémon come to life in such a vibrant and also realistic way. Pokémon was launched in 1996 to overwhelming response, and is now a global sensation that encompasses an intense video gaming fandom, having sold over 300 million worldwide. However, that's just the beginning. The trading card games are available in 11 languages with more than 23.6 billion (yes, billion with a B) cards purchased. There's also the anime television series, which is in its 20th season and is available in 98 countries. If that wasn't enough, the animated projects have grossed more than $700 million at the box office. There's even books, manga comics, music, toys, merchandise, and apps, including the wildly popular Pokémon GO, that has been downloaded over 650 million times and is enjoyed across the globe. Detective Pikachu hits theaters on Friday, May 10th, 2019 and you can watch the trailer below, thanks to the Warner Bros. YouTube channel.